So my last Spellbound Scribes post listed some great m/m vampire books. That post came about because I’d been researching the subgenre (sub-subgenre?) so I could add to it. And now I am. I’m co-writing an m/m vampire story with my friend Irene Preston, and hallelujah! It’s honestly the most fun I’ve ever had writing. The co-writing thing is like having an extended (very extended) (like 75,000 word extended) conversation, not counting the evening Facebook chats to work out plot points. As a result of all of that discussion, I recently had sort of an a-ha moment. I really owe Charlaine Harris BIG for how I think vampires should behave. Which is actually kind of a problem. I took the time to explore what had already been written so that I wouldn’t outright duplicate anything, though I’ll admit that one of the reasons I went four years between vampire projects was my fear that I wouldn’t be able to come up with anything unique. And despite my best intentions, I keep making pronouncements, like, OUR vampire should be THUS & SO, and Irene will be all, “um, why?” Then I pause long enough to realize my reasoning has more to do with Eric Northman than with any truly creative thinking on my part. The whole game in romance is to take something that’s been done a bazillion times before and make it the same, but different. For this project, I started with a vampire who’d been a monk before he’d been turned. Fresh premise, right? Except maybe not so fresh if everything I layer on top (fabulous wealth, orgasmic bite) is lifted thoughtlessly from somewhere else. Last March I took a class from Kerri-Leigh Grady on Strategies for Writing Fresh, offered through SavvyAuthors.com. If she ever offers the class again, you should totally sign up. In the class, the first thing Kerri-Leigh had us do was pick out some of our favorite familiar story elements, arguing that our readers needed something to relate to before we blew their minds with our ingenuity. Except the thing Irene’s questions made me realize is that my vampire only gets to keep the parts of the vampire myth that make sense for his character. Monks aren’t notoriously wealthy, so maybe that’s not an element we end up keeping. Developing the vampire character has become a process of picking and choosing which pieces of the trope work for HIM. Perhaps – and this is my real a-ha moment, which I may have actually had while writing this post – just maybe coming up with a truly fresh premise isn’t about the thunderbolt that sends you scurrying to your laptop. Maybe it’s more about making a couple of tweaks to something familiar, then informing them with real, live (or undead), characters. If you’ve got a process for tweaking a standard trope or character type, leave me a comment. Would love to learn from you! #PitchWars, huh yeah! What is it good for? Whole bunch of stuff, actually! Our time together is going to be a bit shorter than usual – not another 2,000 word treaties on the majesty of a video game from my childhood (I know you’re terribly disappointed). There are many things a-happening right now in O’Conor Country, but I wanted to take a couple hundred words to talk about some super news! I’m sure all of our illustrous readers are in tune with all the hubbubs and goings-ons in the writing world, but in case you’re wondering “Just what in the heck is this here Pitch Wars thingie?” IM GLAD YOU ASKED! You can find out at the blog of the wonderful Brenda Drake! Basically, unagented writers get the oppotrunity to pitch their manuscripts to agented authors in the hopes of one of them becoming their mentor. If you’re chosen, that mentor will help you edit you manuscript into the best possible shape the two of you can muster! Then after 2 months of grueling edits you get your shiny new manuscript pitched directly to agents! SLUSH FREE YALL! WOOOOOOOOOOOO! One of the fun things about running a blog with other writers is getting to celebrate their releases and accomplishments with them. I thought this would be a good time to remind you of all the awesomeness that’s out there, surrounding some of our very own Scribes. 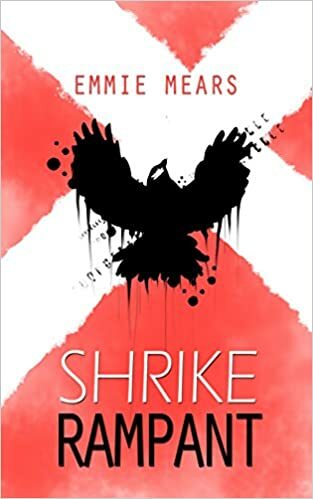 This week, Emmie Mears has a new release out in her Shrike Book Series! The first book, The Masked Songbird was re-released this summer, and the second book, Rampart, just released this week! You can also snag a short story, Uncaged, that takes place between books 1 and 2. This series is set in modern-day Scotland and features Gwenllian Maule, an accidental superhero, how awesome does that sound? Another exciting development happened recently for Kristin McFarland, she announced the upcoming release of her first book, Shaken, the first in her Mitzy Maddox Series. This book features magic, supernatural creatures, a crime spree, and a steamy romance. I’ve already got my copy pre-ordered, do you? Be sure to keep an eye out for the upcoming cover reveal! She’s working with the same artist as Emmie, so we know to expect something awesome! And not to toot my own horn but, toot-toot! 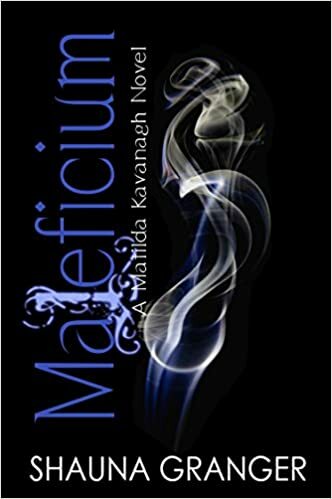 This week I announced the title and cover reveal of the sixth Matilda Kavanagh Novel, Maleficium! It is up for pre-order right now! In this new installment readers will find out just went wrong in Mattie’s short life the night she became an orphan at 16 and what it means for her future. I hope you’ll check it out! Next up is Liv Rancourt who released her latest book, King Stud, book 1 in the O’Connor Family Novels. Now, this is not a fantasy book like you’ve come to expect from us, but we all need a juicy romance from time to time, right? Check out what develops between Danielle and the very-tempting Ryan in this new release! 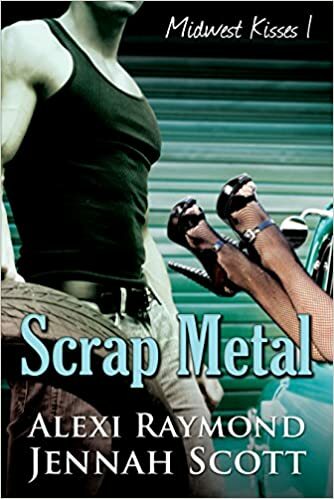 And if that’s not enough steam for you, then check out Jennah Scott’s latest book, Scrap Metal, released July 2015! Art, romance, intrigue, and fun for the end of summer seems like a perfect read! With so many awesome books to read by our Scribes it’s hard to think there would be more things to celebrate, but there are. We’re so excited to announce that Nicole Evelina will be publishing her first books in 2016! Her first release will be Daughter of Destiny (Guinevere’s Tale: Book 1). I love Arthurian Legends so I’m really excited for this one. Be sure to check out the link above to see the rest of her publishing plans! And I hope you all will join me in congratulating Lyra Selene, she recently signed with literary agent Ginger Clark of Curtis Brown Ltd. I was lucky enough to beta read her book and it is beautiful and interesting and you’re going to want to pick it up as soon as you can! Congratulation Lyra! And last, but not least, everyone join me in congratulating Brian O’Conor for making it in #PitchWars! Hundreds apply but only a handful get picked! This is another book I was lucky enough to beta and it is weird and fun and different than anything else you’ve read! Congratulations Brian! So it’s been an awesome year and it’s just going to get better! Bookmark this page so you don’t miss out on any of it!